Woody Allen said 80% of success is showing up. 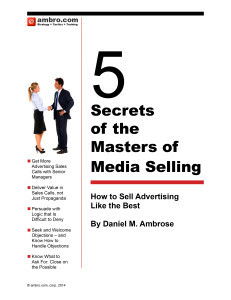 When it comes to successful media selling that is a good place to start. And it’s harder than ever to “show up.” Prospects don’t call back or say they don’t need to see you. Client-side contacts say to see the agency who you already know hasn’t called back for weeks. How can you “show up” in our fiercely competitive world of media sales? What are the secret tricks of how to sell advertising in this age of media-over-supply? First, be sure that you are communicating high-quality messages in your out-bound calling and emailing to clients. If you are communicating quality messages when you cold-call and email, they will have the effect of a high-quality advertising campaign, and you will eventually reach “effective frequency” to earn the respect and attention of your target prospects. Consider taking my class “Masters of Media Selling” to learn more about how to get appointments. Second, your prospective client will check you out online, often before deciding to call (or email) you back. Be sure you have a good LinkedIn profile. Then be sure that you have a good page on your company site “About Us,” ideally with your picture and mini bio. 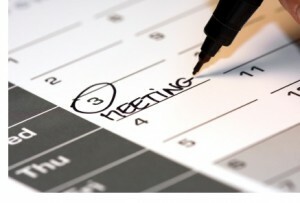 This will allow you to “show up” when your prospects are looking. If there is an industry group in your sector participate in and contribute to the discussions on LinkedIn Groups. Third, if you are trying to reach a prospective client or agency person who’s office is easy for you to visit, drop in unannounced and introduce yourself to the receptionist. Ask the receptionist for advice. If you are selling retail, local ads, it may be acceptable for you to ask to see the person, but in most cases, that would be disrespectful. But you can then tell your prospect in your next call that you stopped in to get advice from the receptionist. That alone will get their attention. And you might leave them a small present, like a Starbucks card, with a note that you hope you can meet them and buy them a cup of coffee when the time is right. Fourth, participate in the industry: Walk trade shows, join industry organizations, attend Chamber of Commerce events and network. If you have a particularly important prospect who is hard to reach, figure out where they’ll be in the next quarter and be there. There is nothing like showing up at the opening cocktail party for a conference when it comes to getting in the same room with your prospects: 10% to 25% of your prospective clients from an industry are likely to be in that room. If you still can’t locate your prospects at a conference, go to the hotel desk and leave them a message inviting them to dinner or a simple cup of coffee. Regardless of whether they agree, they’ll be impressed you are so serious about meeting them, and eventually they’ll engage and call or email you back. Ambrose, launched ambro.com, corp. in 1994 to provide sophisticated strategy consulting and advertising sales training to advertising-driven media clients in the U.S. and abroad. Starting with the founding of About.com and iVillage in 1995, ambro.com has worked with hundreds of clients to help accelerate advertising revenue growth.